Renovated in 2006, Dong Fang Hotel Guangzhou has created a brand new image as a luxury commercial five-star hotel: 699 brand new business rooms, the largest hotel Conference & Exhibition Center in Guangzhou, over 20 medium & small function rooms and a leisure hallway. Dongfang Hotel testifies its high-class hospitality by winning the International Five Star Diamond Award issued by the American Academy of Hospitality Sciences from 2006 to 2008. 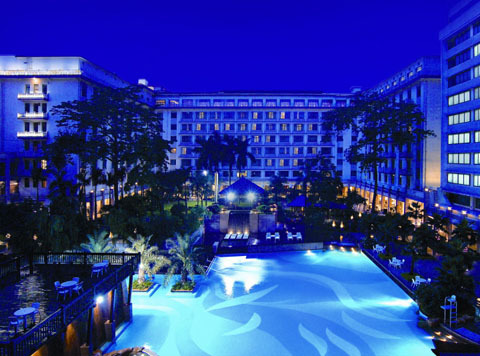 Dongfang Hotel Guangzhou is set in a beautifully landscaped central garden of 10, 000 sqm with Liuhua Lake to the east and Yuexiu Hill to the west. And it is only 2- minute-walk to the Metro entrance, and all less than 30-minute-drive to the Railway Station, Baiyun International Airport, Guangzhou-Kowloon Express Station and Guangzhou International Exhibition Center (Canton Fair Pazhou Complex). Guangzhou Dongfang Hotel served former China Premier Zhou Enlai, former China President Deng Xiaoping, former Britain Prime Minister Mrs. Thatcher, King Carl XVL Gustaf of Sweden and Prime Minister of Italy Romano Prodi as distinguished guests. Hundreds of multi-national companies have selected Dong Fang Hotel Guangzhou to be their hospitality supplier. The Dong Fang Hotel has 800 guest rooms including Standard room,Deluxe room,Executive room,Suite and Lady floor. The redecorated Executive floor situated at 5F and 6F of Building 2. 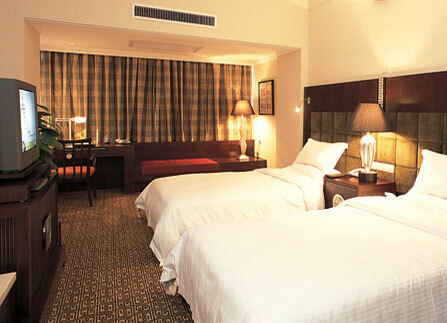 Twelve deluxe rooms are specially designed for women-guests. Almost all the room have wireless broadbrand access,most rooms provide the In house moilbe phone which is specially designed. Non smoking room is located at 9F of block 1 and 6F of block 2.